If you need emergency repairs or just maintenance of your hot water system in Melbourne, then you can trust Melbourne 24 Hour Plumbing as the best and quickest plumbing company. The owner of this plumbing firm has over 35 years’ experience as a plumber. Over the years, the company has become a leader in the local plumbing industry and has gained a reputation for providing 100 percent customer satisfaction. Melbourne 24 Hour Plumbing is your best hot water system Melbourne expert company. They can perform all kind of hot water system Melbourne installations and repairs. As you already know, the hot water system is among the most used appliance in your home. For this reason, it is very important to select for your family the right hot water system Melbourne. You may call the hot water system Melbourne specialists to discuss your particular requirements. What Kind of Hot Water System Melbourne Can We Service? What Kind of Services Are Provided for A Hot Water System In Melbourne? If your hot water system in Melbourne is not working correctly, you can give Melbourne 24 Hour Plumbing a call now. They provide emergency repair services in all areas of the city. Melbourne 24 Hour Plumbing is your trusted specialist firm for hot water units, with a long experience in the market. You can trust them for any type of hot water systems installation, service, repairs, and replacement. Melbourne 24 Hour Plumbing can help you with advice if you need to install a new hot water unit into your home. They can recommend to homeowners the best hot water system type that suits their home and their specific requirements. They can also advise on what size of heater you need for your home area and what type of hot water system Melbourne is more efficient to install in your house. The expert plumbing firm in hot water systems is Melbourne 24 Hour Plumbing. They can give you the best advice on whether you would need to replace your hot water system Melbourne or if it is possible to just repair it. 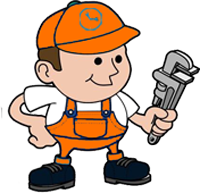 Either replacing or repairing is done by one of the firm’s trained Melbourne 24 Hour Plumbing plumbers. Their team of plumbing experts are extensively trained, licensed and insured, highly skilled and with a long experience in the market. With one of the reliable plumbing experts from the Melbourne 24 Hour Plumbing company, you can be certain your hot water system Melbourne is in good hands. If you are looking to purchase a new hot water unit, you must take into consideration several key factors, including cost, energy consumption, and size. You must evaluate the current as well as the future size of your household and your needs of hot water. Various brands of hot water units affect the efficiency of the systems. Even if you have the impression that a unit comes with an expensive price tag today, in the long run you may end up saving money. For any problems with your hot water system Melbourne, call the specialist now. Call Melbourne 24 Hour Plumbing the Hot Water System Specialist.